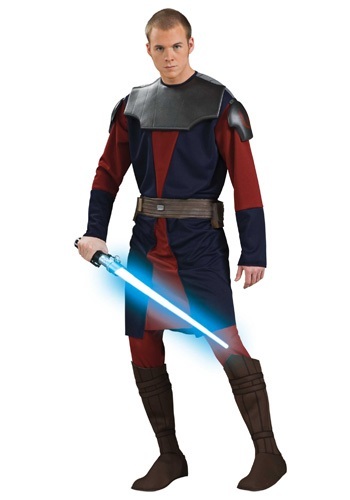 Start on your way to become a legendary hero with this Adult Deluxe Anakin Skywalker Clone Wars Costume. 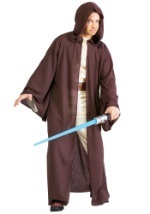 The Star Wars costume features a navy and maroon tunic that is made of 100% polyester and has an attached cowl. Matching maroon pants with an elastic waist and attached brown boot covers are also includes. 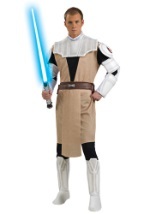 In addition, the costume comes with a brown foam belt. 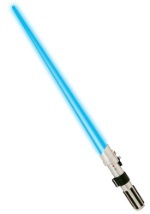 Complete your look with a blue Anakin Skywalker Lightsaber.